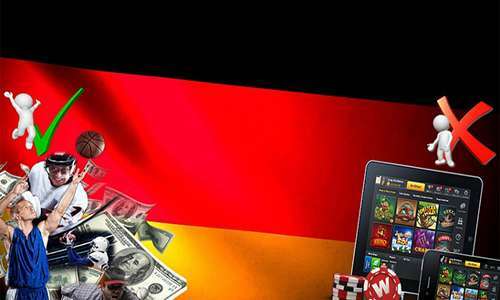 On Thursday, Germany’s 16 states collectively ratified the country’s revised Second State Treat on Gambling, confirming changes made to the country’s live and online gambling codes that are still likely to leave Germany in violation of European Union trade agreements. 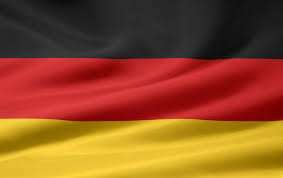 The licensing of gambling operators in Germany has been a heated topic ever since 2012, when the country sought to enact sweeping licensing changes under its new State Treaty on Gambling. However, the state’s opaque and number-based licensing rules, heavily promoted by the country’s state-run lottery, LOTTO Hamburg, suffered multiple legal setbacks. First, a Hessian state court ruled the original 2012 updates unconstitutional, in an imoortant sports-betting case, and then the Court of Justice of the European Union (CJEU) also found against the new licensing rules. Both the Hessian court and the CJEU identified the same core problem: Germany’s plans to issue only 20 licenses was both arbitrary and secretive, denying dozens of worthy EU-based gaming firms German licenses. Faced with the multiple legal setbacks, but prodded on by the government-run lottery, Germany’s state-level ministers decided to simply double the number of provisional licenses from 20 to 40, but leave everything else in place. Since only 35 companies originally applied for a German license, went the empty reasoning, there would be no need for anyone to complain about the rest of the treaty-violating rules. That didn’t fool anyone, then or now. The CJEU has yet to issue its official ruling on the revised German rules, which were sent out last November, but EU officials took the unusual step of notifying Germany earlier this month that the revised “Second Treaty” rules did not fix the core issues and would leave Germany in violation of the EU’s trade mandates. Among the issus reportedly to be addressed in the upcoming CJEU review of the revised rules: The numeric adjustment from 20 to 40 approved applicants might allow those original 35 applicants from 2014 access (that’s when the 2012 rules went into effect), but allows precious little room for market growth… presumably just the way LOTTO Hamburg wants it. The European Union’s legal decision is also likely to decry the original and revised treaty’s continuin focus on sports-betting operators, which leaves online poker, online casino games and more to reside in a continuing gray area of legality. Which brings us to last week’s developments. Despite the notification from the EU, which first emerged in German news outlets about 10 days back, the German state representatives thumbed their noses, then went ahead and approved the Second Treaty anyway. As we reported last year, it seems assured that Germany’s now-approved Second Treaty changes will receive a thumbs-down from the CJEU. Will that lead to a Third Treaty, or even a Fourth? Will it take another in-country legal setback for the licensing structure, as opposed to the finger-wagging from the Europe-wide watchers? No matter what, months and months are sure to be wasted on all the hand-wringing, and in the final accounting, Germany’s lottery is unlikely to achieve its protectionist dreams.